At 5 a.m. on a muggy June morning, Chris Snow of the Maryland Department of Natural Resources and Marion Clement of the Maryland Bird Conservation Partnership load a small boat, spray their clothes with bug spray and head out into the still waters for a day full of bird surveying. 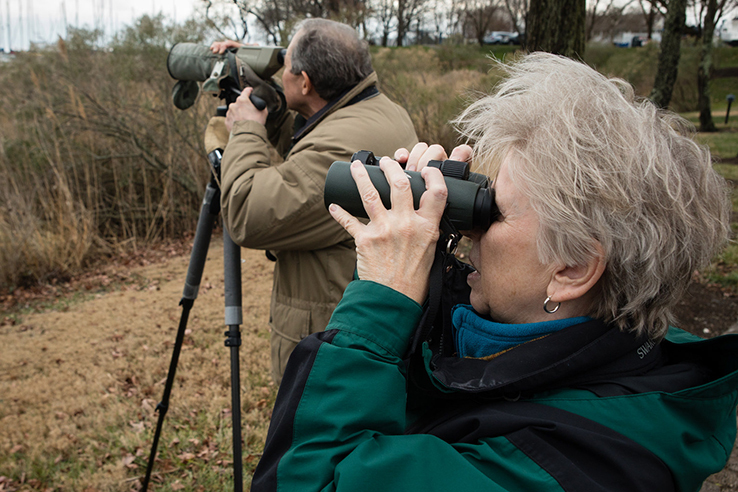 This marsh bird monitoring survey, conducted once a year at Monie Bay—a tidal salt marsh in Somerset County, Maryland—is used to measure populations of different types of birds in the area. During the survey, the pair travels to eight different spots in the marsh, playing six types of bird calls over a speaker and listening for callbacks, keeping a tally of how many are heard. Though the survey can’t provide exact population numbers, it provides an estimated index of bird types in the area. 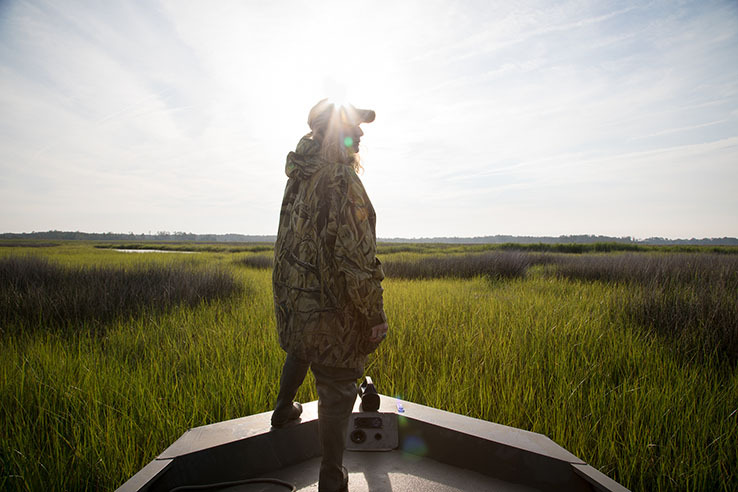 This estimate is used to evaluate population growth and decline in the marsh. Because the birds of Monie Bay are dependent on the health of the marsh, their population numbers can be a good indicator of habitat conditions. 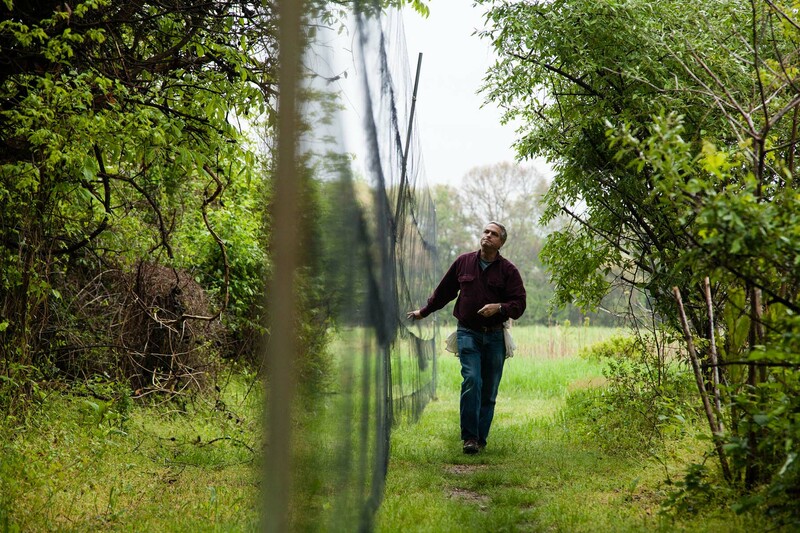 “If we see changes in the numbers, it prompts us to take a more in-depth look at what’s going on in the marsh,” said Snow, who is the stewardship coordinator for the Maryland portion of the Chesapeake Bay National Estuarine Research Reserve (CBNERR-MD), which encompasses Monie Bay. Marion Clement listens for bird callbacks during a marsh bird monitoring survey conducted by Maryland Department of Natural Resources at Monie Bay, part of the Chesapeake Bay National Estuarine Research Reserve in Somerset County, Md., on June 15. The public can experience the relatively pristine wetlands of Monie Bay through a network of three water trails that Clement spearheaded as a Chesapeake Conservation Corps intern. In the decade that the survey has been conducted in Monie Bay, Snow has noticed a decline in certain bird calls, such as the black rail. According to Snow, problems like sea level rise, development and pollution are possible causes. Most of the birds in Monie Bay build their nests just above high tide lines, making it easy for them to flood. Standing water in the marsh can also cause vegetation to die, meaning a loss of habitat for the birds. CBNERR-MD conducts this same survey at each of the reserve’s three component areas: Monie Bay, Jug Bay and Otter Point Creek. Researchers then compare that data in hopes of gaining regional and statewide perspectives of populations and habitat conditions. According to the Monie Bay survey, population numbers of most bird species, such as the clapper rail and least bittern, have remained the same. To view more photographs, visit the Chesapeake Bay Program Flickr page. Awesome work !! Wondering if one sample day per year will provide an accurate representation of any trends?